Kristina Kalaydjian has been in Escrow since 1998. She comes from a family of Escrow Managers/Officers and Mortgage/Loan Brokers who have been in the industry for over thirty years. 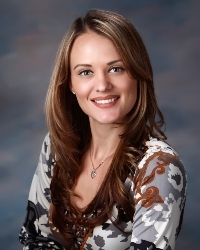 Kristina initially started her career at a Title owned Escrow Company and then went on to form and operate a B.R.E Escrow Company. After experiencing every aspect of escrow, it was time for her to start her own DBO Escrow Company, Contact Escrow, Inc. With the loyalty of her devoted clients and the endless support from her family, this company is destined to grow by leaps and bounds. Kristina sends a special thanks to her husband, brother and mother for their unsurpassed devotion in forming her dream.